Imogen Turner is a 29-year-old poet living in London. 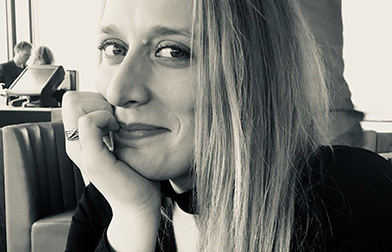 When she’s not working, Imogen can be found studying psychology part-time with the Open University or spending time with her gorgeous, gregarious family. Imogen is grateful to poetry for allowing her to say the unmentionable under the guise of producing art. She is currently working on her first poetry collection, exploring themes of disassociation, female sexuality and the self.